Former Georgia gubernatorial candidate Stacey Abrams delivers the Democratic response to President Trump's State of the Union Tuesday night. 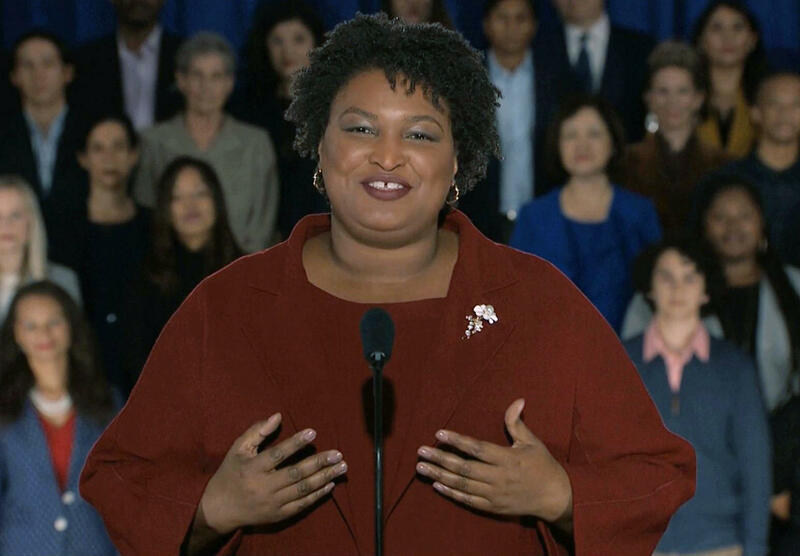 Stacey Abrams, former Georgia gubernatorial candidate and potential Senate candidate, delivered the Democrats' response to President Trump's State of the Union address on Tuesday night. "She is just a great spokesperson. She is an incredible leader," Senate Minority Leader Chuck Schumer, D-N.Y., said when announcing that Abrams would give the remarks. "She has led the charge for voting rights, which is at the root of just about everything else. And she has, if you look at her background — she knows what working people, middle-class people go through." NPR reporters annotated Abrams' response, adding context and analysis. 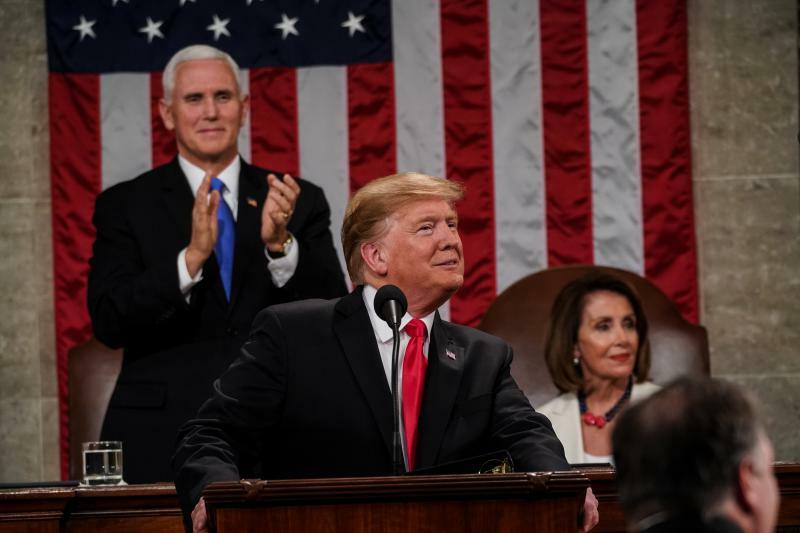 Read Trump's address in full, with annotations. 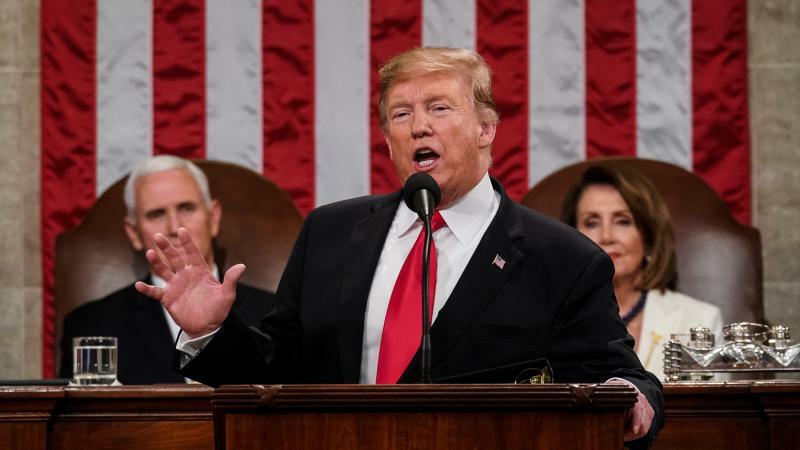 President Trump delivered his State of the Union address Tuesday night, a speech that had been delayed during the government shutdown. The annual remarks came as a bipartisan group of lawmakers continue to negotiate border security funding and Trump's wall proposal — the central issue that led to the longest shutdown in U.S. history. 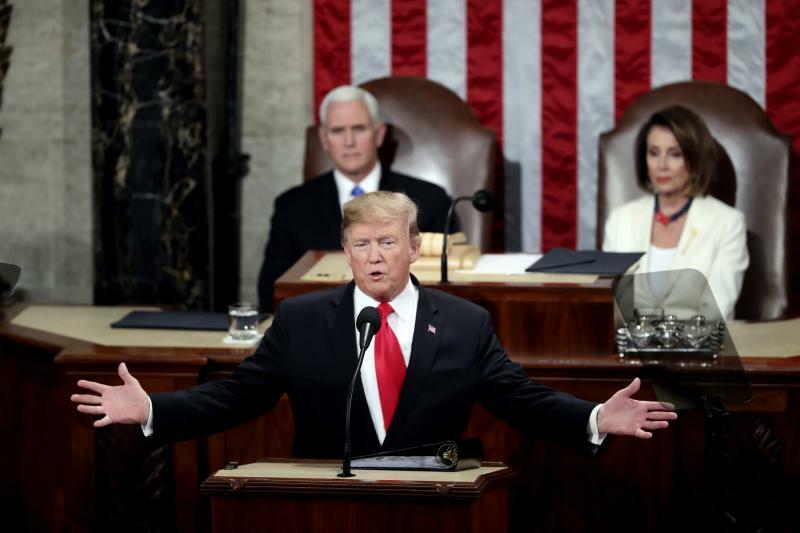 President Trump used his second State of the Union address to call for bipartisanship and unity, even as he remains at an impasse with Congress over immigration in the shadow of the longest government shutdown in U.S. history.